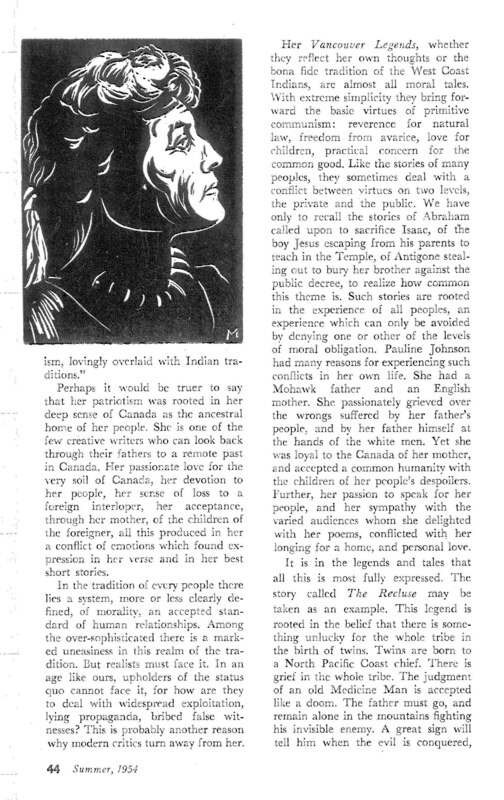 Yet the number of our authors who have written articles on Johnson, published contemporaneously or long after her death, speaks to her popularity throughout the decades; Sara Jeannette Duncan even interviewed her for the Toronto Globe in 1886. As with so many early women writers, modern critical interest in E. Pauline Johnson is finally restoring her to her rightful place within her national literature. This article by Margaret Fairley was part of the movement towards such restoration. 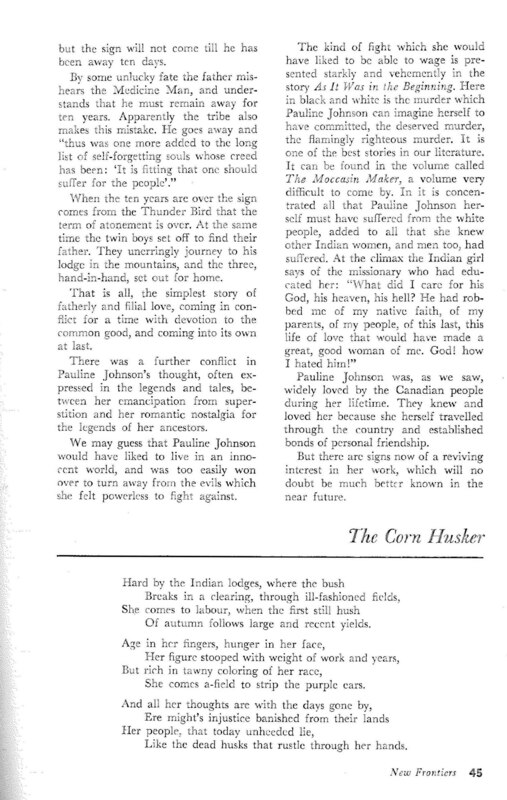 One again, I have posted images of the pages as well as a searchable pdf of the article. 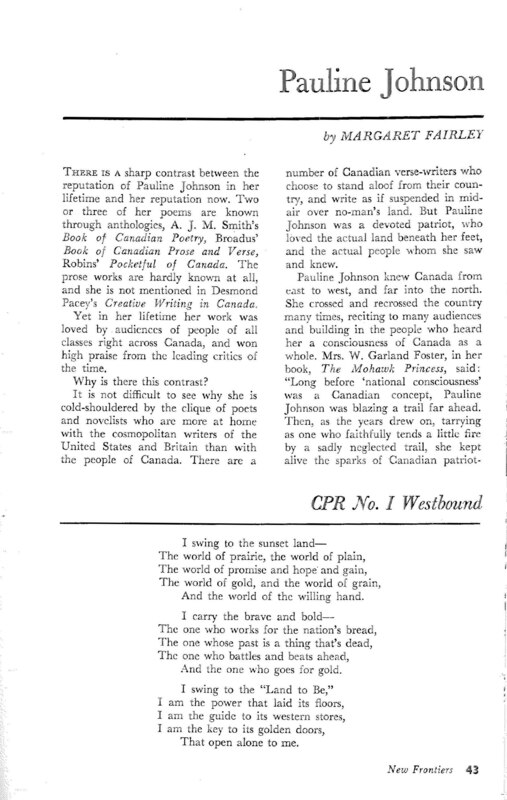 The two poems included are by E. Pauline Johnson.